They are extending their $18.92 sale for one more day and getting rid of the "email us to get a promo code" thing. 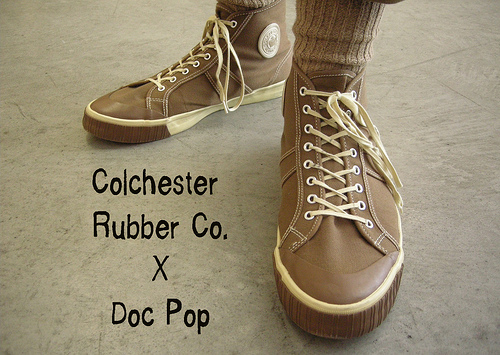 So until 11:59 pm April 1st you can still buy a pair of shoes for the "Doc Pop discount". I noticed a couple folks commenting that these shoes could be easily modded to fit a steampunk aesthetic, so I thought I'd drop you a line in case you wanted to mention the deal on y'r bloghole. I'll also be donating my proceeds for the shoes sold to a local non-profit.